Just when I realised that I had no bread for breakfast and had to do with eggs alone. 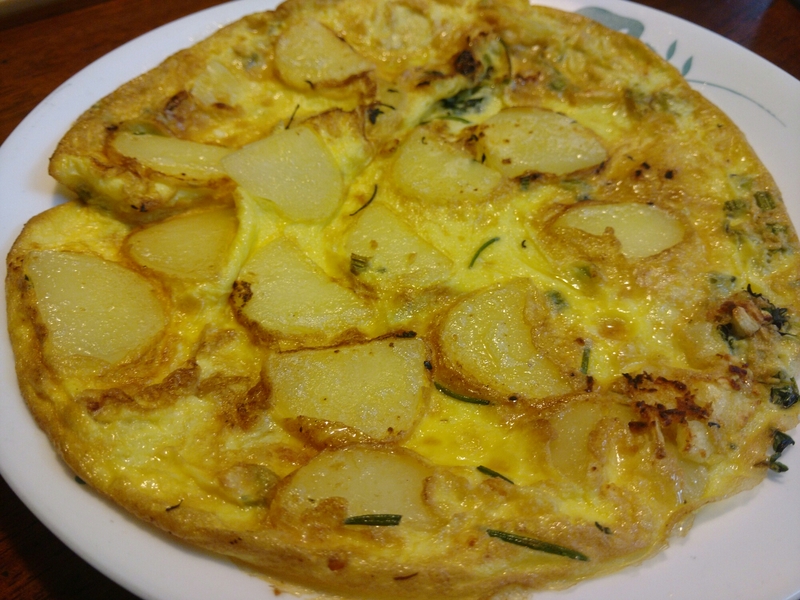 I decided to make potatoes egg Spanish Omlette with fresh rosemary, thyme and crushed garlic. 4) Fresh rosemary leaves, you may use dry if you do not have fresh. 5) fresh thyme, you may use dry if you do not have fresh. 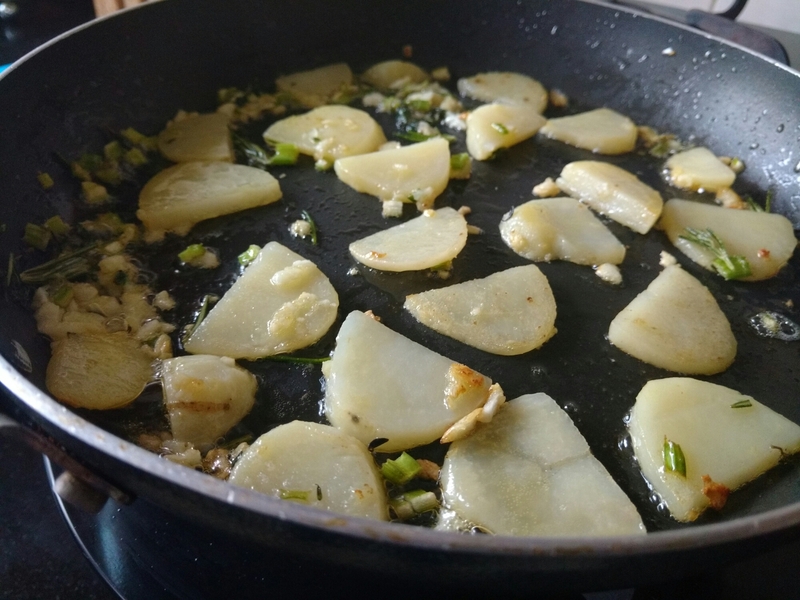 Take oil and butter in a pan, add the garlic, rosemary, thyme potato and shallow fry on low heat. Beat the egg with salt. 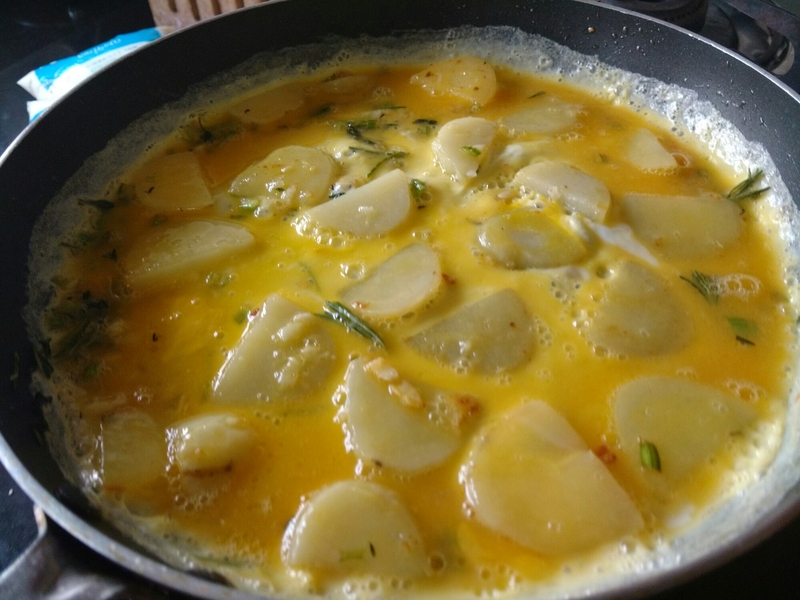 When the potato is cooked and a little brown add the eggs, cover and cook. You may add cheese if you like, I made it without cheese. 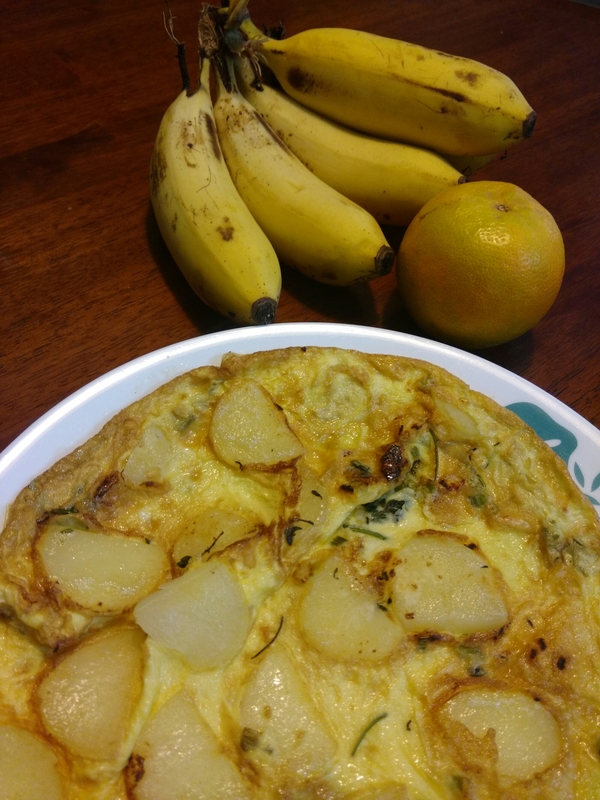 You do not need bread for this breakfast, since the potatoes are a replacement for your carbs.